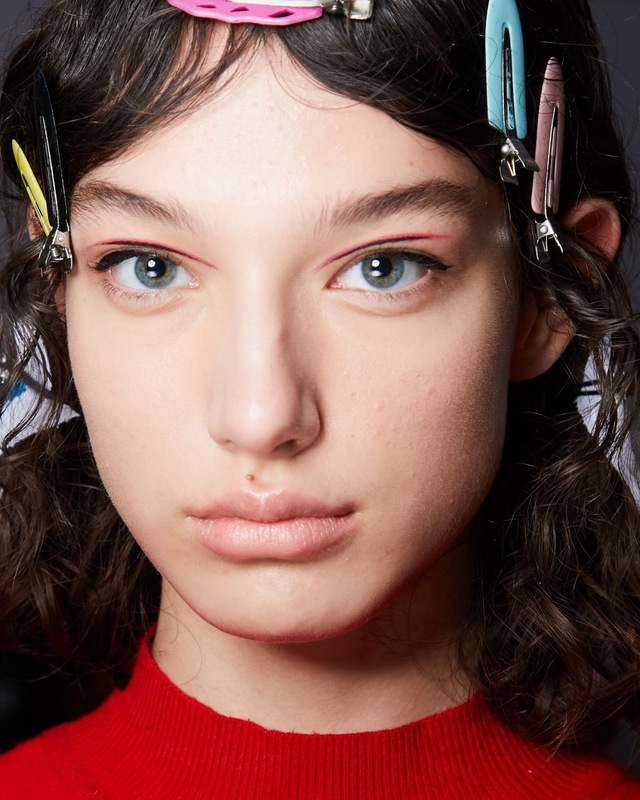 The models for Jason Wu were a bit edgy and gave a twist on a signature cat eye style. 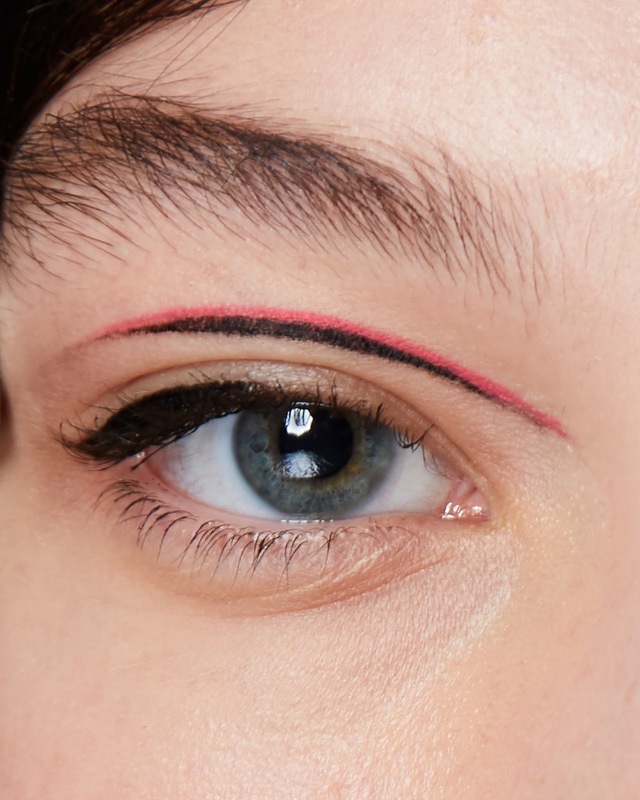 Thomas de Kluvyer gave a creative touch to the eyes that will be challenging for us women to get perfect. But totally worth the effort! The look was all about deconstructed glam, bringing a modern way of rocking a cat-eye. The look should be playful and fun and its all about using your makeup as a fashion accessory. Which is so true! Check out the beauty tips and practice on creating this runway look below using signature products from Maybelline. Face: Dream Highlighting Concealer (for dark circles/wrinkles), next Master Chrome Metallic Highlighter in Molten Rose Gold on cheekbones for a sparkling glow. Brows: Fill them in with Total Temptation Brow Definer. Draw a black arch above the crease of the eyes, for a lifted effect use Master Precise Skinny Gel Pencil. Eyes: Add a wing style to outer corner of each eye. 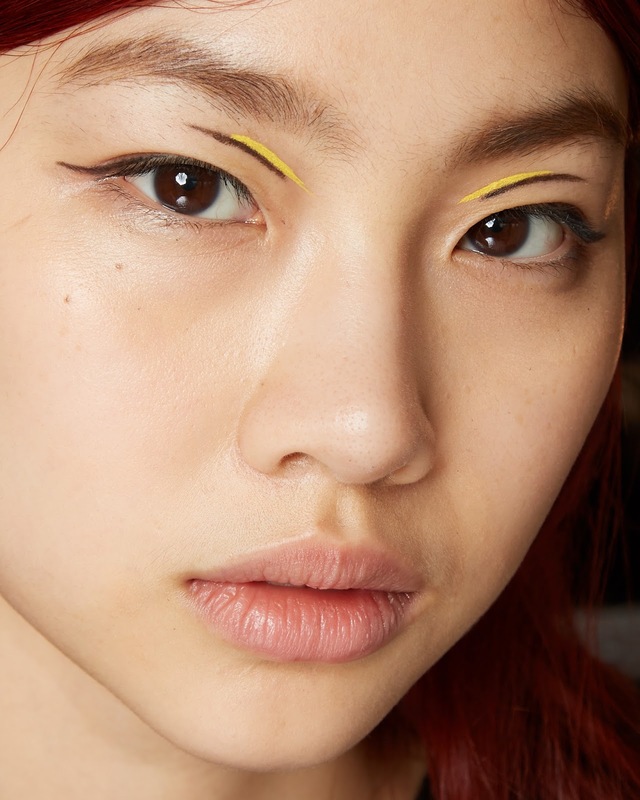 Use these two color shades for the lines (your choice) Lemonade Craze (yellow) or Ice Pop (pink) from the Lemonade Craze Eye Shadow Palette (July 2018) then outline black arch. Apply Lasting Drama Matte Eyeliner in Rusty Terra Cotta than top it off with Total Temptation Mascara in Brownish Black. Lips: Color Sensational Shine Compulsion in lipstick Baddest Beige (June 2018). Slightly dab Baby Lips Moisturizing Lip Balm in Quenched.